I'm starting a new Journal as Photobucket has destroyed my old one. At least this one doesn't have to suffer through three years of an agonizingly slow build. 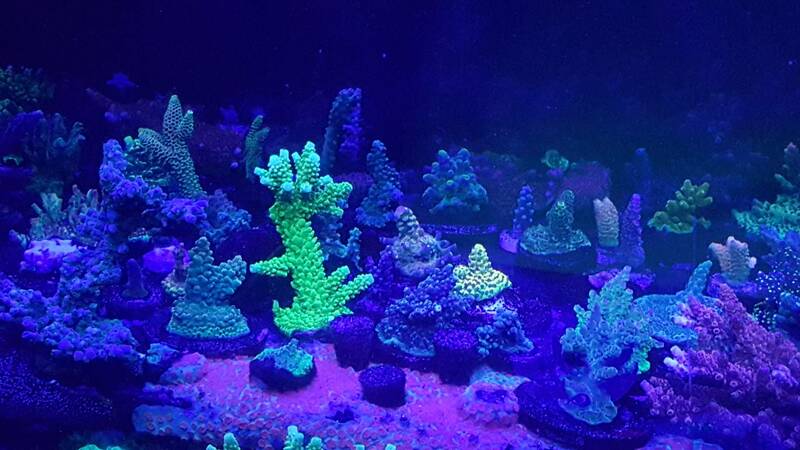 Here are some current pictures of where my reef is as of today. 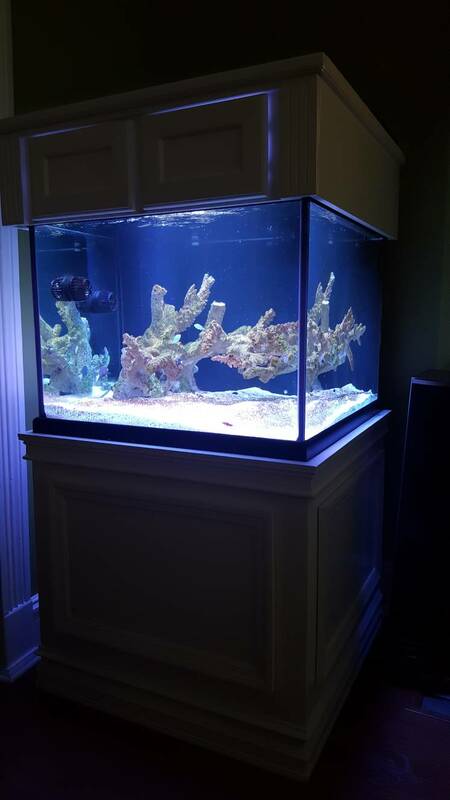 Several fish but no coral in the DT as of yet. 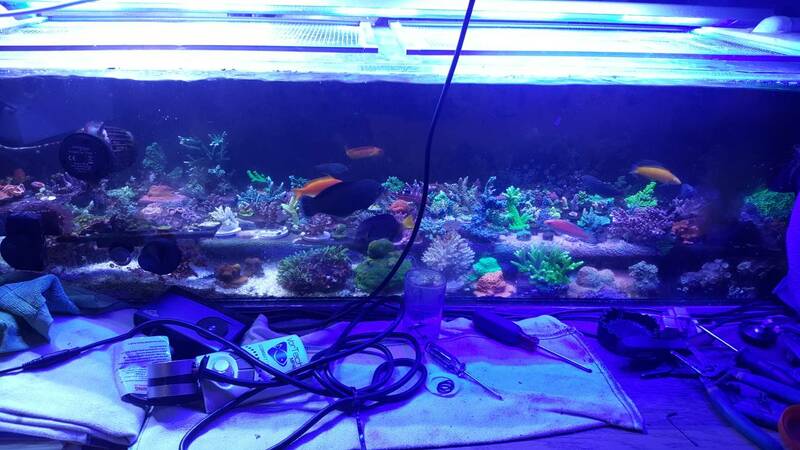 Here are some pictures of my frag tank in the basement. 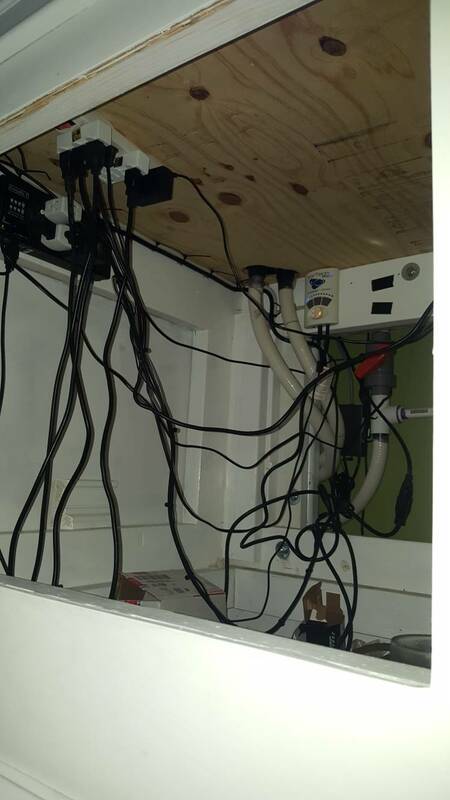 It's connected to the same system as my DT. display looks good, I like the rockscape! 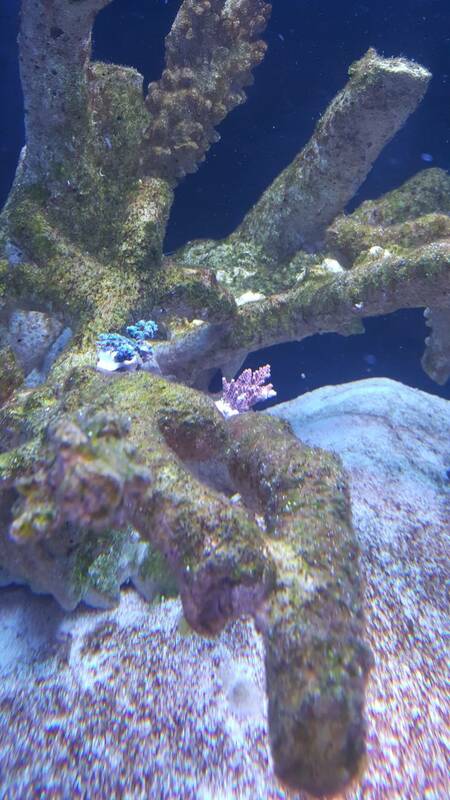 I'm down here staring into my frag tank trying to figure out the first one to go in... Should it be my oldest coral? Should it be the ones I want in the prime spots? Should I start at the back of the DT and work my way forward? So many questions. Hahaha yeah that is tough. 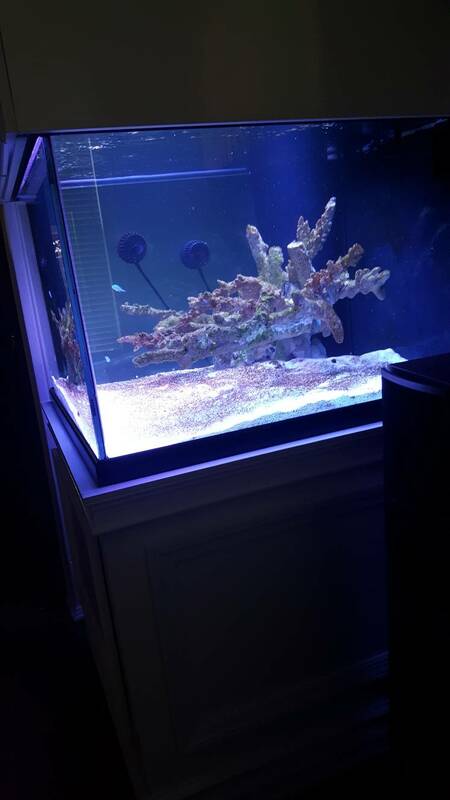 I can just say from my experience and moving, starting with new rock that I wish I had a thriving frag tank like you to leave my colonies and good frags in while putting the cheap stuff in the DT to see how it does. This move has been so rough to my tank but it is finally starting to come back (knock on wood), I go on vacation tomorrow so we will see how it is when I get back. Thats what I would do, put the cheaper stuff in for a couple weeks or a month and see how it does. 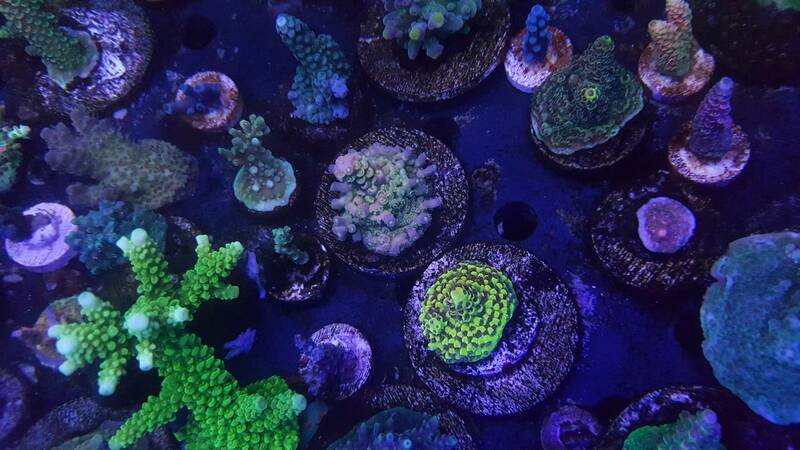 Just make sure you have them on frag plugs you can move for your nice pieces! Last edited by codydemmel4; 08/08/2017 at 08:41 PM. 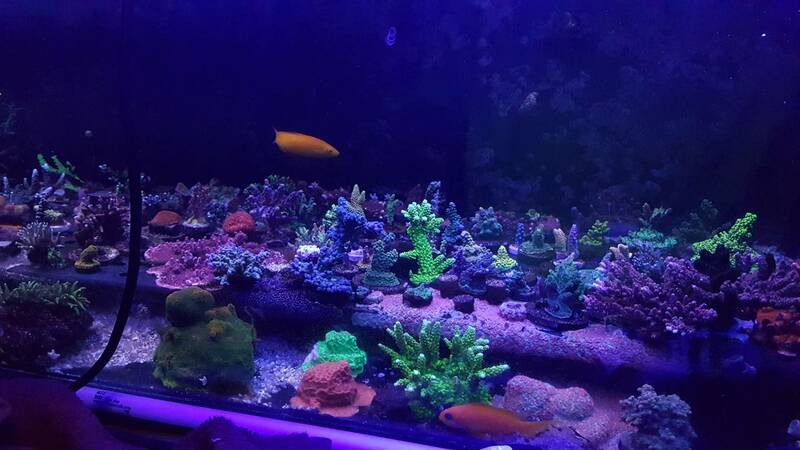 LOVE the hardscape, it's just awesome Pifey! Probably less of a risk to move them to the DT since the frag tank is connected to the DT. So, at least you don't have to worry about changes that in chemistry. 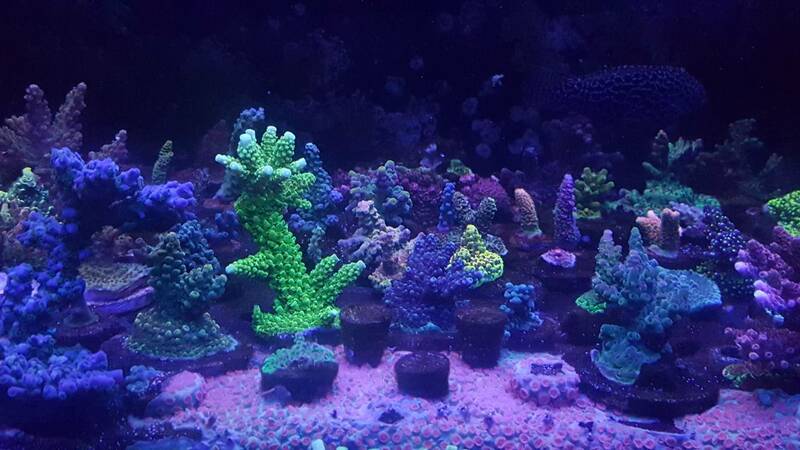 That's a great collection of corals. Love how they're growing on the tank bottom. Believe it or not I never even considered trying less than stellar pieces for a "test". I'm going to plop a couple in tonight when I get home. 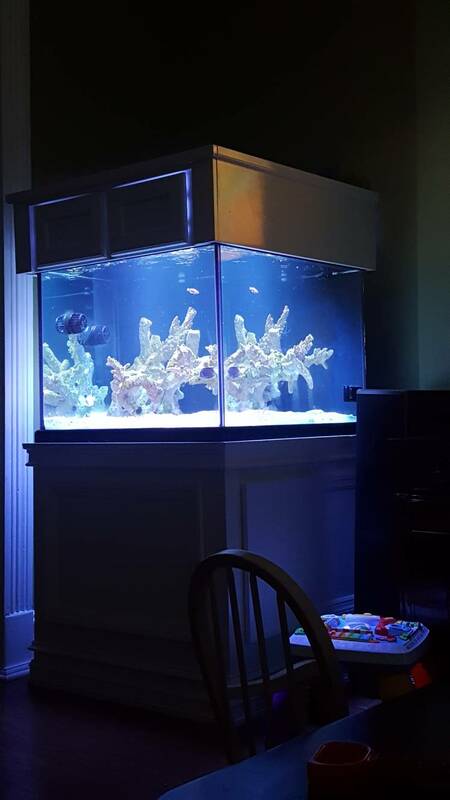 How's your tank doing? I. Going to start with some tonight! Like I said above I never even thought to put the hardier pieces in first. It will begin tonight. Thank you. 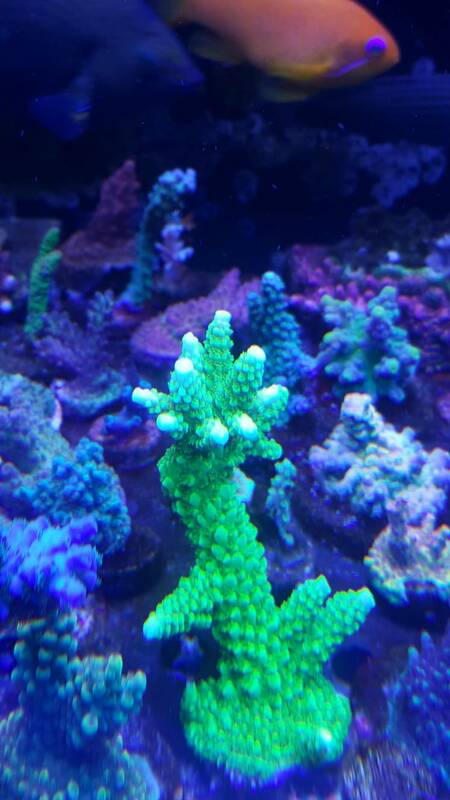 I hope that I have it planned for maximum coral! I agree. I have the par pretty much matched up too. I wish they were spreading out in my DT but soon enough they will be. 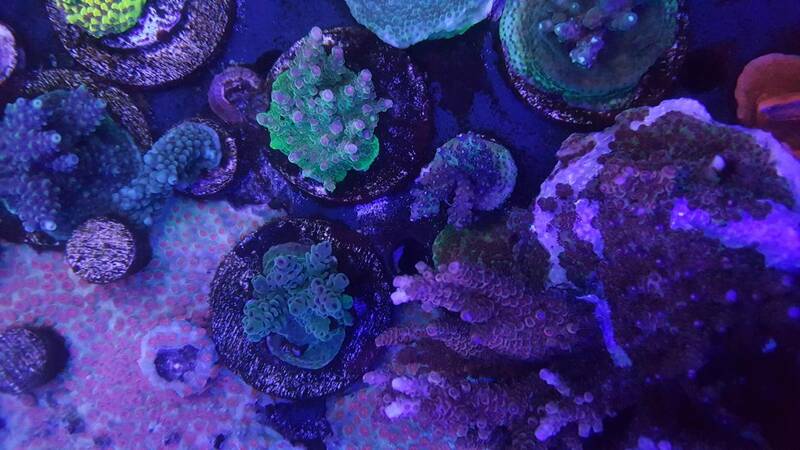 I have started to put some on the back of the frag tank now. Thank you. 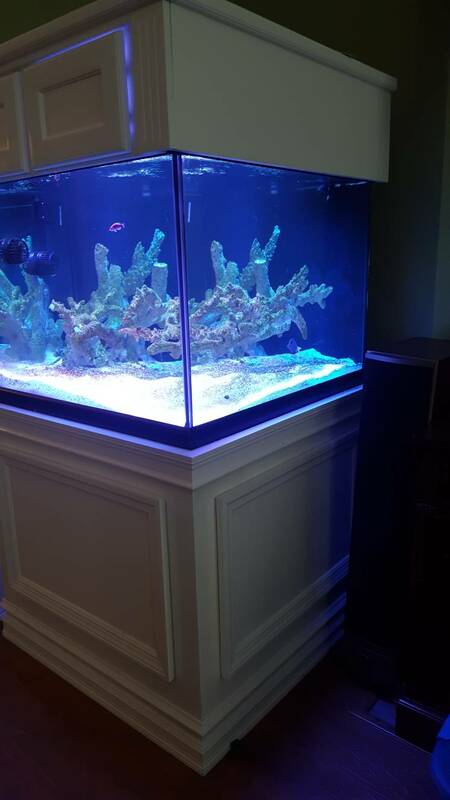 It's going to be the combination of a three-year struggle to get a reef in my living room. I figured it was a good place to start over. I am already looking forward to your new Journal too. I'll probably upgrade to all quiet drive wet sides as the one I've already done that to is significantly quieter and in my opinion has a much better spread out flow pattern. One of the things she really didn't like was the slight trickling of water sound. So I suppose I'm going to need to raise my durso standpipe up some so that the water can be another inch higher in my overflow. That should solve that problem. Another issue she had was with 4 bulb ATI light fixture fan. Of all the things that is what I can hear the easiest. So obviously I'm going to change that last for dramatic effect. I hear you on the noise aspects. It actually bothers me more than it does my wife...go figure. How tough was it to change out the bearings? I have been considering doing that as well to my older MP40s. I hear you on the noise issue! It's a constant thing in my household as well. Many people who hear my tank can't believe how quiet it is, I even laminated sound-proofing material into the stand along with all the normal bean overflow, quiet pumps, foam padding, skimmer muffler etc. This build is looking great! It always goes faster the second time it's posted subscribed. I think it's very straight forward if you have the correct tools. That being said I'm an electrician and grew up on a farm so I'm pretty mechanically inclined. If you read through that thread it should be apparent if you can do it or not. Maybe I'll make a video. This is exactly why my tank is in the basement! 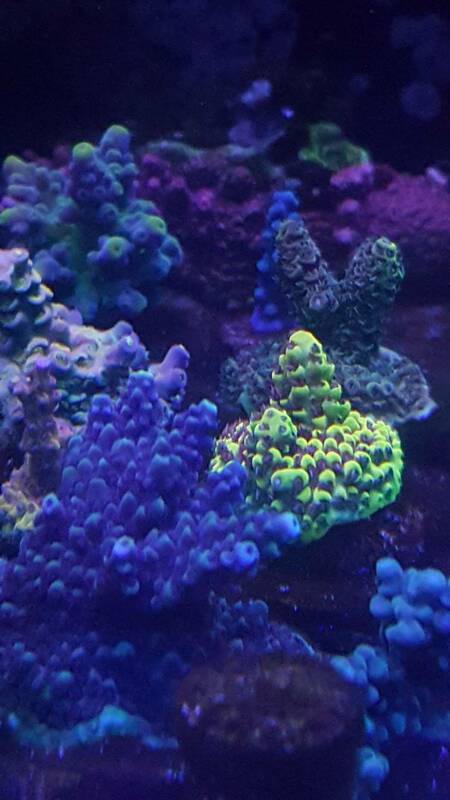 Since your frag tank and display are connected, I'd say prime spots first. I'd say get the good stuff where you want it and work out from there. 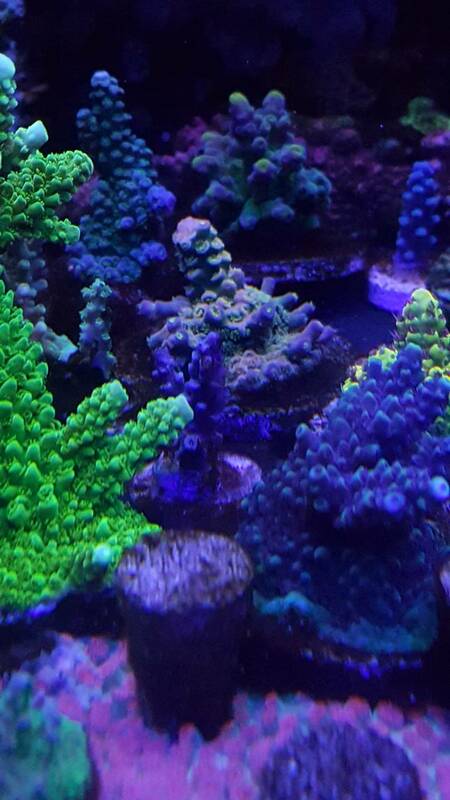 So I put a couple of acros in! Sorry for the crappy pictures but I don't have much time to get any good ones tonight. Very impressive and am going to follow the build closely . Amazing footprint of the tank I believe. Could you share the dimensions ? 12 ATI must produce a ton of PAR . 36 inches by 36 inches by 28 inches tall. You'd be surprised at how little par they actually produce. I try to keep everything in between 300 and 500 par. 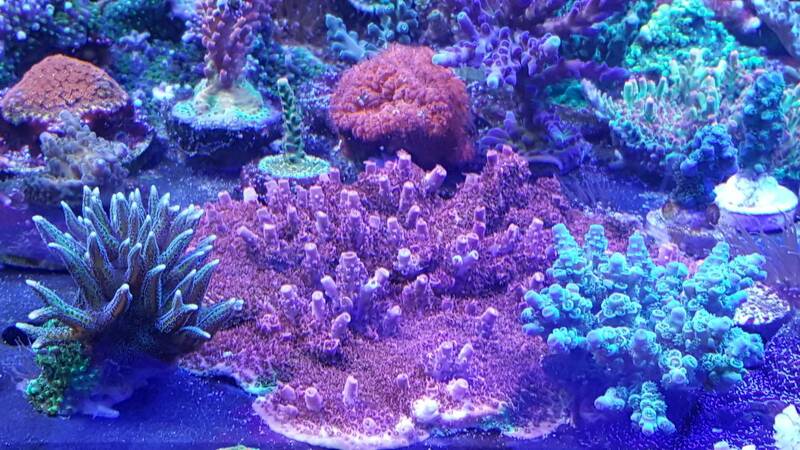 You will notice that there are higher Parts in my scape for particular corals to get the much higher par that they need to pull the colors out of them. Thank for following along. My view from the couch tonight. I will be following your journey. 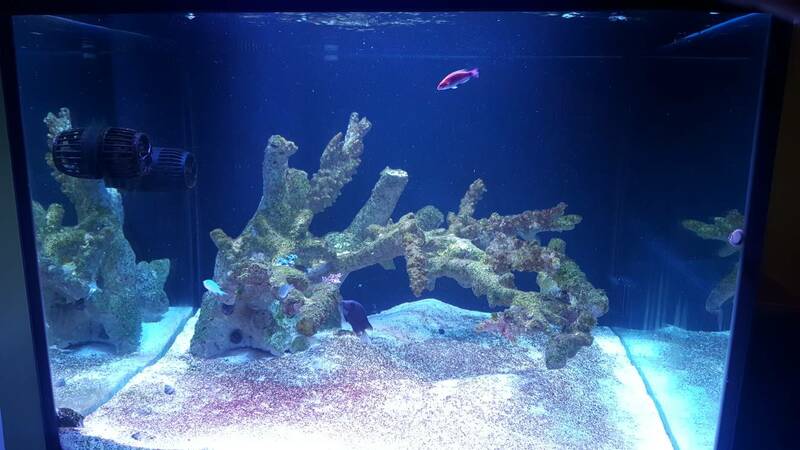 May Reef Gods bless your tank. Last edited by DiscusHeckel; 08/10/2017 at 06:48 PM. Thank you. I can't wait to cover it in coral. I don't know exactly where you actually live. When I was in Europe a couple years ago it was difficult for me to find fish stores. Thanks for following along. 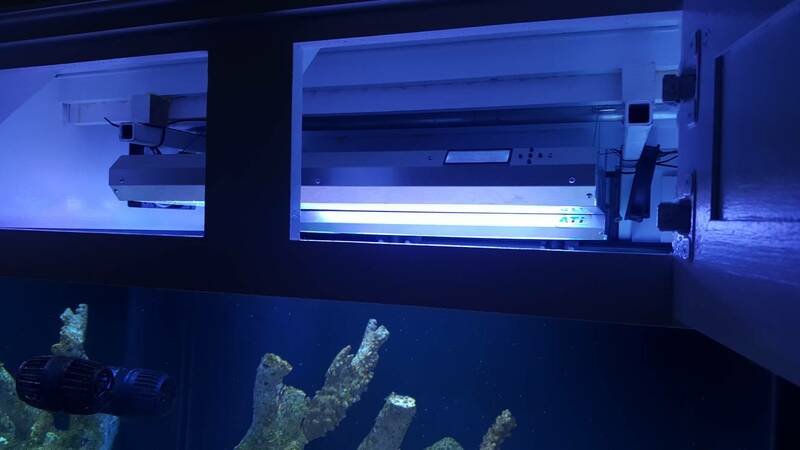 I'm looking forward to using reef actif because of you. 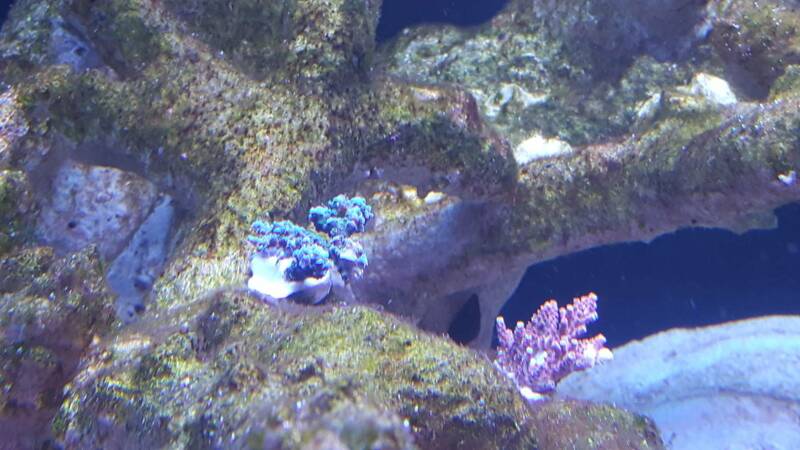 I hope it can help me match your coral's looks. 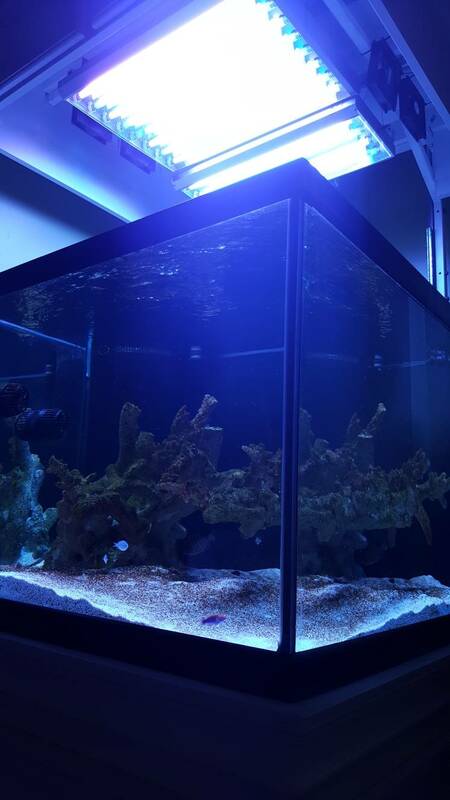 I've stared at your scape for a long time. 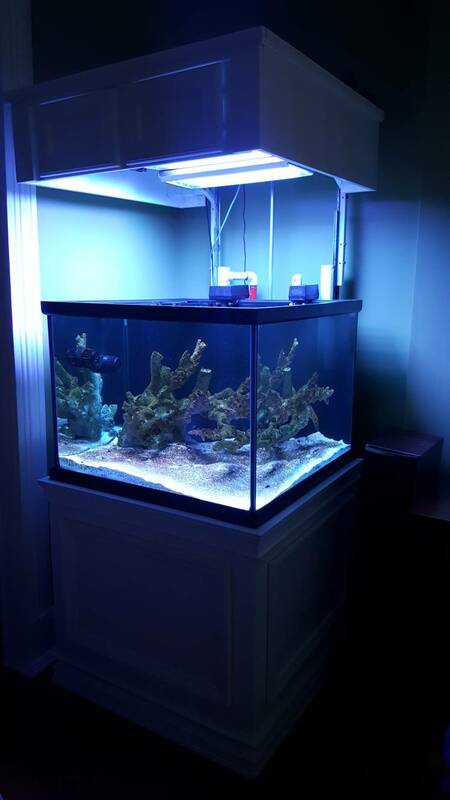 It's helped me decide where to place different corals.